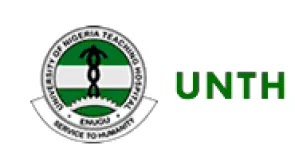 This is to inform the general public, parents and candidates who may be interested obtaining the University of Nigeria Teaching Hospital/School of Nursing application form that the management has opened application for this academic year. Form now on sales! Candidates must have at least credit passes in English Language, Mathematics, Biology, Chemistry and Physics from any Senior School Certificate Examination including WAEC, NECO, GCE. First City Monument Bank (FCMB) Presidential Road Branch, Enugu.